What do Gawker, McDonalds, and deviantART all have in common? They've all been hacked in the past week. Depending on how you look at things, the past week has been a major series of victories for hackers or a truly stunning series of defeats for digital security. Aside from the very public security breach with Gawker Media, McDonalds and Walgreens have both admitted that their databases were hacked and heavy amounts of user information was stolen. Now, it turns out that that deviantART has also been dealt a blow, having been hacked and user info compromised. The largest online art community announced today that its database security was breached, which means that the e-mail addresses, usernames, and birthday information for up to 13 million users has been stolen. Thankfully, passwords weren't taken as a part of this, but it's being theorized that this other information will be used by spammers. 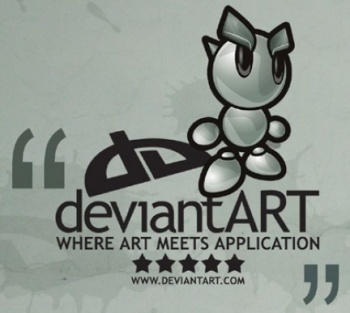 It turns out the breach wasn't actually due to negligence on deviantART's end. Instead, it came through Silverpop System Inc., a marketing company the site uses to communicate with its various users via its mailing list. Still, members of the community (including me) rely on deviantART to keep our personal information private and safe, and the site definitely failed on that end.